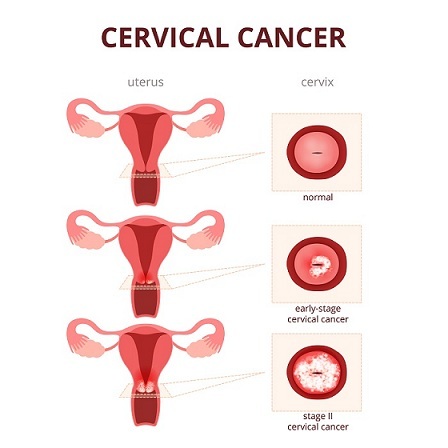 Endometrial cancer is a cancer that arises from endometrium and is a result of abnormal growth of cells that have ability to invade or spread to other parts/organs of the body. The most common symptom is post-menopausal bleeding per vaginum. High risk factors, associated with almost 40% cases, are obesity, excessive estrogen exposure, high B.P and diabetes. Diagnosis is by physical exam, TVS scan. Hysteroscopy with endometrial biopsy is confirmatory, while other imaging modalities like CT scan, MRI and PET scan are used to determine the pelvic and extra pelvic spread.